Changes to Chemical Safety Management. In Victoria, the management of chemical safety is covered by a complex range of State and Federal Acts and Regulations. For employers who aren’t manufacturers, transporters or suppliers the Occupational Health and Safety Regulations 2017, which covers hazardous substances, and the Dangerous Goods (Storage and Handling) Regulations 2012 are generally the most relevant. Businesses need to comply with both sets of legislation. What’s the difference between Dangerous Goods and Hazardous Substances? Dangerous goods are those that are an immediate threat, explosive, flammable, toxic, corrosive etc. due to physical properties. Hazardous substances are those that can potentially harm human health. 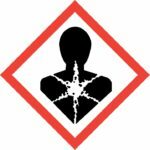 On June 18, 2017 the new Regulations require that the health hazards of hazardous substances are classified and labelled to the GHS system (Globally Harmonised System of Classification and Labelling of Chemicals). The Dangerous Goods (Storage and Handling) Regulations 2012 have not changed and you will still need to comply with these requirements, including placarding, manifests, and segregation. Your suppliers need to provide safety data sheets (SDS) instead of material safety data sheets (MSDS). Hazard and precaution statements replaced risk and safety phases. GHS pictograms replace dangerous goods diagrams on most containers. The classification of hazardous substances needs to comply with GHS requirements. What changes do you need to make to comply? You don’t need to relabel chemicals already purchased, but do need to ensure any chemicals you decant are labelled per GHS. Ensure all chemicals you receive comply with GHS labelling. Obtain SDSs for all your chemicals and review your chemical risk assessments to ensure you are controlling the risks effectively. The new classification system means that some chemical classifications have changed and you will need to review your control methods. This is particularly the case for some irritants which are now classified as corrosive – eye damage and those which are carcinogenic, teratogens, sensitisers or cause specific organ damage, which are now covered by the new GHS classification group “Health Hazard”. There are draft compliance codes available which were open for public comment. However, the finalised versions of the new compliance codes, including hazardous substances are not due for release until late 2017.
Review the new regulations and draft compliance compliance codes to ensure you are managing your’s chemical safely. If you would like more information on any or all aspects of your chemical safety management, including identification of chemical hazards, risk assessment and training, please contact the Safetyzone team of expert consultants for advice.